I have a birthday this week, and I also have friends who have kids with birthdays this week. The kids are going to be one and five years old. I'm not saying how old I am going to be! 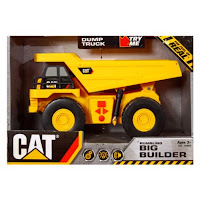 Anyway, it got me thinking about gifts for kids. I really love to give books, but I also like to give a little toy to go with it. There are so many reasons why books are great for kids, but I also feel like there are so many reasons why toys are great for kids too! Both choices allow kids to explore and use their imagination. 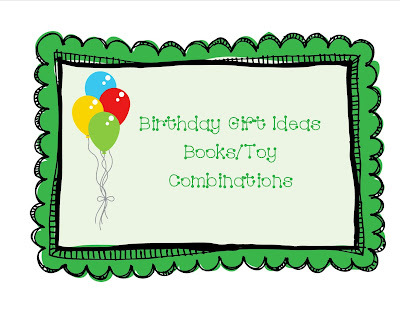 I have compiled a list of five different books that are great for gift giving, and five toys that go along with each. Sorry, I think my list might skew a bit towards boys (I swear that is all I ever buy for), but I also have one more girly options too. All of these books and toys are geared towards birth to about five or six years old. 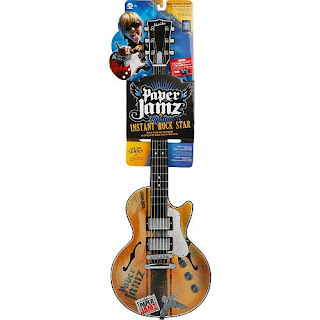 To go along with this book, I was thinking you could get a little guitar. 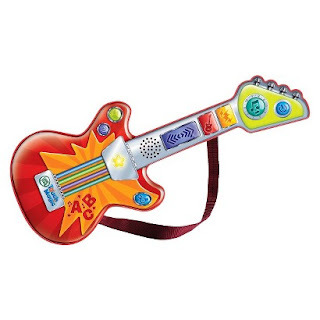 For the preschool set, there is a LeapFrog Touch Magic Rockin Guitar that is really cute. 3. 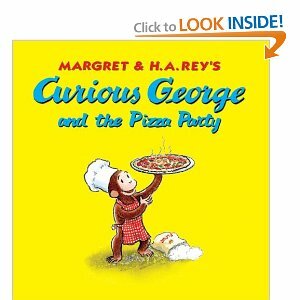 Curious George and the Pizza Party by HA Rey, Margret Ray, and Alan J. Shalleck. This book was one of my son's favorite books. He would crack up at the huge mess that George makes in this book. He also still loves to make his own pizzas with playdoh, toy food, or even real pizza. 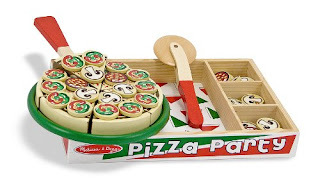 I thought that this pizza kit by Melissa and Doug would be a perfect match. You can usually find these kinds of sets at Tuesday Morning or TJ Maxx at a discount. 4. 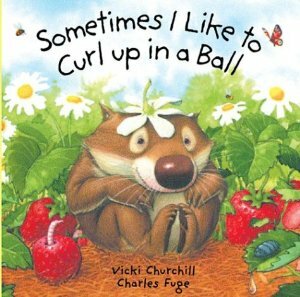 Sometimes I Like To Curl Up In a Ball by Vicki Churchill and Charles Fuge. 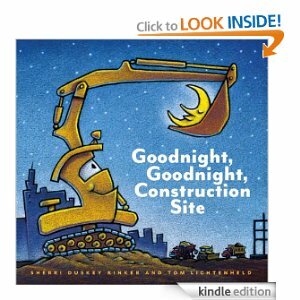 This book was a favorite of my son who is a little cuddle bug. This is a sweet story about things that the little wombat does all day, and then cuddles up with his mama at night. 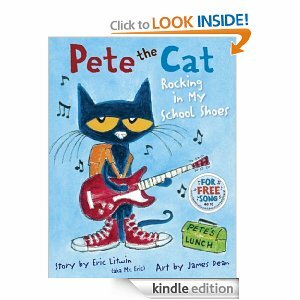 This book comes in hardcover or in a board book, which makes it great for many ages. You could give it to a one year old, or a little older. 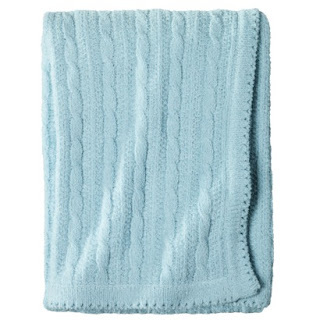 It could also make a great baby gift when paired with a baby blanket. I thought a great item to go with this book would be a pair of pajamas or a cuddly blanket. My boys still love to get blankets, especially if they have some sort of character on them. 5. 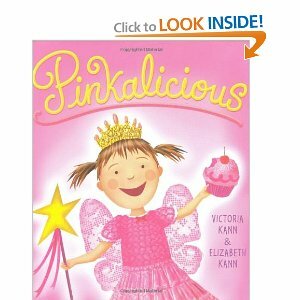 Pinkalicious by Victoria Kann and Elizabeth Kann. This is a cute book about a girl who loves anything pink, especially cupcakes. Her parents warn her not to eat to many, but she does and turns...pink! This book is great for girls, but I also know a few boys who secretly think this book is great! 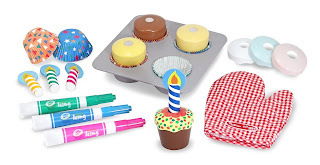 I thought a great item to go with this book would be either the Melissa and Doug Bake and Decorate Cupcake set or the Lego Duplo Creative Cakes set. There are so many ways to match books and toys. The next time you are at the store, wondering what to get to go to that birthday party, start at the book area and pick out something great. 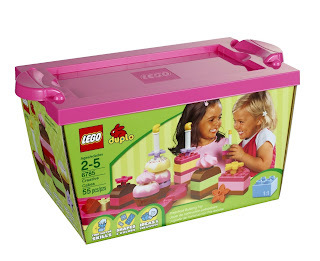 Then, you can head over to the toy area to find something to match. 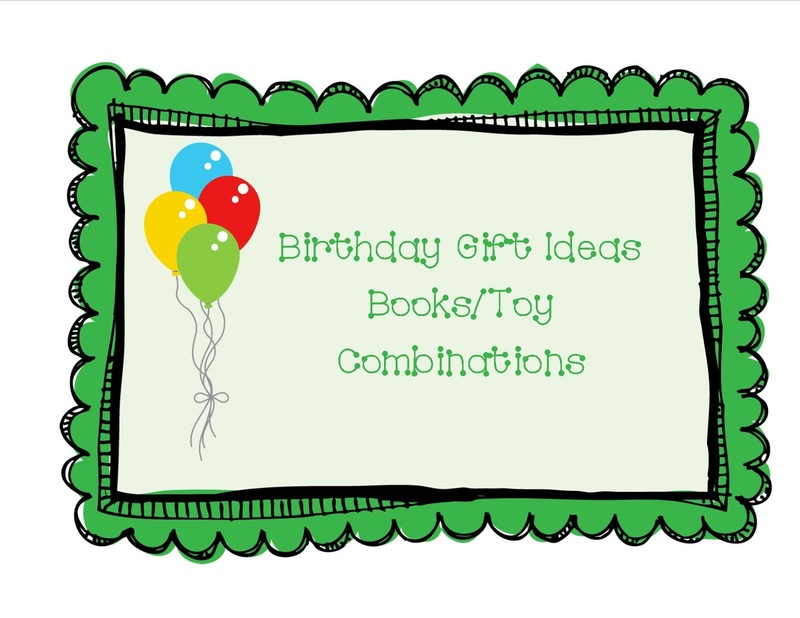 I hope these ideas can spark some great gift-giving ideas for you! Books and toys are both great gifts for children, and these presents can in some ways help improve their senses. But of course, parents must be careful on which genre of book or what kind of toy to give that could not harm their kids. Thanks for sharing your ideas.